At the request of @Horton, I am starting this as a new thread. This was originally posted in the V-Type R thread here. I know this is straightforward to many folks on this forum, but one thing I hear over and over when speaking with customers or reading between the lines here on BOS is that there are still many folks out there who rely on the holes of their binding plate to determine front boot position. Either they think the center hole on the plate must be the factory position, or they think that since their last ski worked well at a particular boot position, their new ski will act the same. This is not a good way to set up your ski. If this you, please take a minute and measure your boot position with a tape measure to ensure you are at least close to "factory". Boot position is easily the most important setting on a slalom ski! Similarly, we at HO, along with many other manufacturers are simply not able to take calipers to the fin of every ski we ship. It's just not practical or efficient for the volume of slalom skis we produce. Instead, we use a jig to quickly position the fin and tighten everything down. The jig is set based on a fin that was actually set up with a caliper. This gets the ski "pretty close", but certainly not exactly "Factory". Now, I know some brands may claim to set their skis up with calipers, and that's cool. Also, depending on who you buy your skis from, many high end pro shops actually reset skis to manufacturer published numbers. That's even better! But I guess what I'm really trying to express is that "factory settings" means different things to different people. To some, "factory" means you haven't touched the fin since you purchased the ski. If you were to actually measure a fin set up with a jig at the factory, you could find it to be off by as much as 15-20/1000 from published settings. This is not necessarily a bad thing. In fact, these might be your magic numbers! With the V-Type R and so many other high end skis out there, published fin numbers are often derived from pro skiers who are running 39' or 41' off. Let's face it; there just aren't many of us who move on a ski like Nate or Will or Rossi. Factory settings may not work for the way you ride a ski. Frequently, people ask me or Dave for new or "better" settings, but in order to make a recommendation, it is very helpful to know where we are starting from. So... I urge anyone who cares about this to invest a little time and effort to getting to know their ski a little better. This may ruffle a few. To answer the question simply...not much. It is a false premises IMHO. It is a "there abouts" kind of number(s) guess for someone other then the pro skier(s) that came up with them. Sometimes it is good..others not so good. Your last paragraph eludes to that fact. I will add. All boots are different from soft to hard, large to small, ankle flex (huge BTW) and where exactly you measure that boot from. Essentially making the factory boot settings meaningless for the most part and more of "there abouts". My 29.25 will not be the same as someone that has a hardshell with a different heal curve, measuring point and ankle ROM then mine. Factory settings do not necessarily take this into consideration (I only know of one that does). Second, what ski did you come from? What was it's characteristics in design and materials? What style or approach does the skier use once in the course? What is your line length, speed, hardest and opening passes? Does the company have settings that have been tested by average skiers that came to a consensus measurement not just the pros?.. and so on. All meaningful factors. Is there a pretty close or there abouts..?..maybe. Should a skier check settings before riding..?..absolutely..they could be waaay off. What would be best is to know where the skier is coming from and set the ski up that way to be shipped and not where the new ski settings started from only to figure out were they really need to go. This is the conundrum with high volume sales. @Wish No feathers ruffled here...all good points to the right audience. so if factory settings for a course ski are listed for good to very good skiers. Should a guy skiing at say 28off 34mph expect to benefit from differing from factory settings? I have my ski set exactly as factory settings are listed. but I am by no means a "very good" or even good skier. I simply chose factory numbers so that i could focus on form and instead of chasing fin settings all the time. If I had feathers, they would really be ruffled! Just kidding. We set up all of our skis with a fin jig that gets them very close. Then, we use calipers to make sure they are correct. I personally spot check our mounters' work often and they do a very good job! We also feel that the "middle hole" on our plate is where most of our skis should ski well for most skiers out there. While I realize that drives John nuts, the "middle hole" location is derived from testing with different levels of skiers and refers to an actual measurement that is taken from the tail of the ski to the bottom line of stitching at the heel of our Vapor boot. We believe our stock settings work very, very well for a large percentage of skiers and for those who like to tune fins, they certainly can. Heading out to my garage tonight to do some measurements.... Good advice for all, even if you ruffle feathers along the way. At least today we have factory insert locations to go by. Back in the "good old days" ski blanks were drilled by a shop. I purchased a new high-end ski in the early 90's at a shop near my college in Texas. I found the ski, which I had skied a lot before (an older model) frustrating from the get-go. 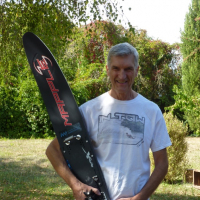 The next summer I then skied on a one-year-newer model that my brother had purchased and found it skied like a dream. The word on fin settings and moving boots was gaining a lot of traction in magazines and through that education I decided that perhaps the problem was that my boots were too far aft. In fact, the shop I had purchased my ski from had put the boots so far back that when I took my ski to a reputable shop back home in Seattle they had to drill new holes! After that fix the ski worked a ton better. All this to say that I agree - Moving boots and making sure your ski is set up properly is HUGE! Hard to follow a triple Panda! Congrats @eddie_roberts_jr ! For me, PRE-BOS, I would have never thought to adjust a fin/wing. I would have thought the ski got to me the way the factory wanted it. So, who am I to adjust? Now, after BOS, I still understand very little about fin/wing settings but do understand that settings can make a huge difference. In fact, I ordered wing gauges and calipers just today. However, until my knowledge level increases (and my very basic slalom course skills are pretty solid) I will only be verifying fin settings and maybe adjusting back to factory recommended ones if adjustments are off. At my level, the fin/wing is very likely the least of my worries provided settings are pretty close! Factory settings are a great place for me to start. I have much more basic things to work on first! I like what @eddie_roberts_jr has to say. I don't buy the excuse, especially when purchasing high end, very expensive skis, that there is no time to set them up correctly (according to factory spec). "Just get them close with a fixture and let the customer sort them out." I would also think that would be very detrimental to a demo program, as those skis may not be purchased due to a sub-optimal setup. The assumption that all skiers have a set of calipers, and are capable of using them correctly is probably a poor assumption. My ski was set up at the factory so I never checked it out. I am sure that the fin does not move so why check it out? We always check our fins when we travel so why do we expect the ski to come out of the box fresh from UPS set up perfect? When i put Rossi's numbers on my fin and don't run 39 off,it means i'm the problems not the fin setting! GREAT thread! Especially the part about "middle hole" for the front boot, I submit to you there are ALOT of skis out there with the front boot off spec. Even if beginners don't have calipers or a desire to check/ adjust their fin EVERYONE has a tape measure and can get their front boot mounted to spec. @savaiusini but your post is titled with a very open ended question. Kind of asking for different opinions yes? If it is an awareness thread, what would like us to be aware of within that terminology? To me, factory settings are a good place to start. I never assume a new ski will have the fin in exactly in the right spot. Agree with others, binding measurements are more tricky with so many bindings out there. But again, a factory binding location should be the place to start. I often wish set up was not so critical to performance but it is. You either need to know how to set things up yourself or get help from someone that knows. So while I think the factories do a good job of getting things close or even correct, it doesn't matter to me because I will be setting everything anyway. Factory settings= How the ski is delivered. Factory specifications= How the manufactur state the ski to be ideally set up. Customer expectation= How big the delta is. A more advanced expensive ski should have a smaller delta. What do factory specs mean to me? I view them as a loose approximation that should work okay for a majority of skiers. So long as the ski is fairly close to factory specs, it will be good enough to promote good skiing habits for novices. Advanced skiers, on the other hand, should regard factory specs as a decent general starting point from which to fine-tune their own personalized setups. And ALL skiers should be able to measure their own equipment. A skier without a caliper is like a cyclist without a tire pump. Not knowing how your ski is setup is as isn't much different than riding around on flat tires. Is there any boots that have the heel marked on the outside? Alpine ski boots have normally the middle marked and skis as well. Thank you to both @savaiusini and @eddie_roberts_jr for letting us know what you're process is. It really is awesome that you guys are out here for us. Thank you! I don't put any faith in "the middle hole" but it sure is nice when the stock setting hits the middle hole. Just makes that adjustment simple. For me, stock fin numbers are where the ski functions well for most, and gives me a base to start. I don't do much fin adjustment, unless the thing is unskiable, which I have found only once before with "stock numbers". I checked "factory" and "recommended" settings for my 2014 Prophecy. I have re-set the fin maybe 20+ times since I got the ski. I also deep sixed the Connelly fin clamp and put a Mapple clamp and fin on my ski. When I checked the chart, I was very surprised to see my DFT and depth were right on "factory" and my length was 5/1000 longer. I was way off "recommended" settings. 25/1000 longer, 10/1000 further forward and 6/1000 shallower. For me, "factory" means the ball park you should start in. After that, you're on your own. Unfortunately, there is only a handful of people that really know what they are doing with a fin, and I'm probably not one of them. Fortunately, I have three extremely knowledgable ski partners to keep me in line. For the average skier, getting the fin in the right world and then adjusting the bindings is a surer and safer way to go. 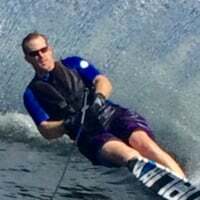 If you really want your ski set up right, book some sets with a reputable pro and ask him or her to help. Then leave the fin alone and adjust your bindings. Something to tweak? A place to take the first couple sets? There seems to always be a lot of talk about what are the hot numbers (for fin settings) like everyone is going to go out on Andy's (RIP) or Nate's setup and run down the rope. Body type, strength to weight ratio, technique, stance, etc are all different as if we would all go out and try to paint a Starry Night masterpiece. @horton my point is that if you don't know what you are doing, you'll get in less trouble ((and can put things back where you started) by adjusting bindings once you are in the right ball park with your fin. I will respectfully disagree. I always adjust bindings first, then fin. I may itterate boot/fin settings but not much and my boots have to be close first. If my boots are in the right spot I can ride the ski with the fin in a wide range of settings. If my boots are in the wrong spot there are no fin settings that can correct it. Forward and back, or rotation? @bishop8950 I rode some fin settings the other day that no binding adjustment could fix. Irrelevant? @horton we have both ridden skis that no settings of any kind could fix! If the bindings are close (and the ski is not garbage) going to the fin may help. If the bindings are not close the fin will not help. Do you disagree?